A vivid memoir of the author's lifelong struggle with depression. ...a triumph on many levels ... as insightful and beautifully written as it is brave. Merkin clearly understands the risks of going public with such intimate, dark material and refuses the unrealistic comfort of an unequivocally redemptive ending ... Less sympathetic readers may carp at Merkin’s ability to afford the luxuries of expensive, seemingly unlimited treatment options, cosmetic surgeries and summer rentals in the Hamptons. (Merkin readily acknowledges that her hardships pale in comparison with what people go through in Syria or Haiti.) But anyone who has experienced or witnessed the pain of clinical depression up close can’t help but be moved by her struggle. 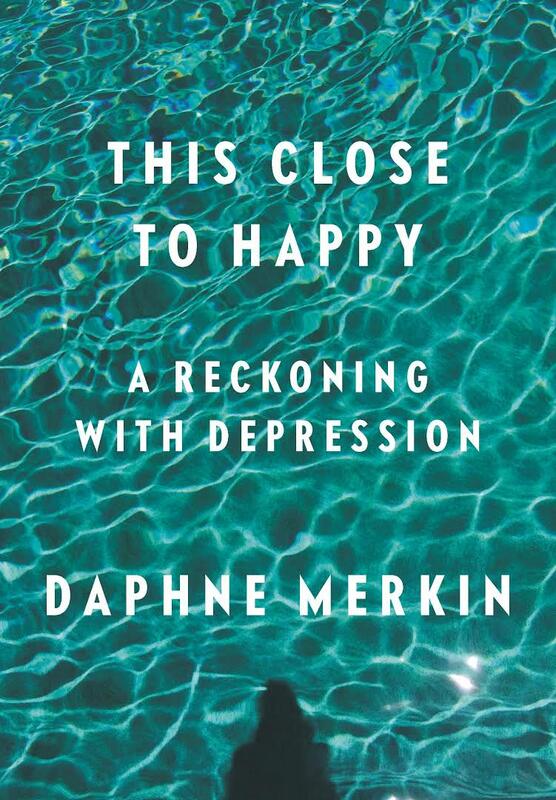 This Close to Happy earns a place among the canon of books on depression. ...one of the most accurate, and therefore most harrowing, accounts of depression to be written in the last century ... Ms. Merkin speaks candidly and beautifully about aspects of the human condition that usually remain pointedly silent ... he book reads like Sylvia Plath’s The Bell Jar stripped of its novelistic turns and symbolism ... a rare insight that dawns only in the twilight of a life like Ms. Merkin’s: that this deep, but not uncommon, sadness is not a condition to be cured but to be weathered. In the earlier part of her memoir, her tight focus on her own story at the expense of anyone else’s can come off as self-indulgent, even self-aggrandizing, but it is part of her considerable art that by the end, it feels like a winning frankness. The reader is saved from diaristic fatigue by the sharpness of her observations ... she narrates what happened and how it felt to her. And she does so with insight, grace and excruciating clarity, in exquisite and sometimes darkly humorous prose. The same tinge of self-aware narcissism that makes the book at times so annoying makes it finally triumphant. Merkin is unlikely to cheer you up, but if your misery loves company, you will find no better companion. This is not a how-to-get-better book, but we hardly need another one of those; it is a how-to-be-desolate book, which is an altogether more crucial manual ... it is standard fare to say that books on depression are brave, but this one actually is. For all its highly personal focus, it is an important addition to the literature of mental illness. What did you think of This Close to Happy?